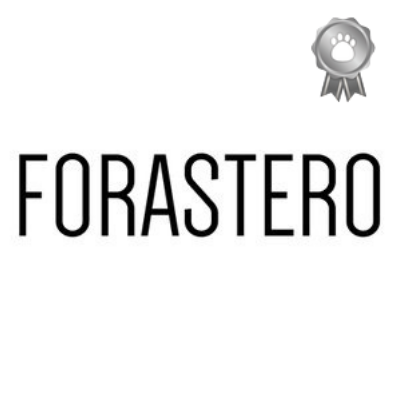 Menu | 100% Vegan Fare | Dog-friendly patio! Upton's Breakroom is a part of Chicago-based natural foods business called Upton's Naturals. Independently-owned, Upton's Naturals specializes in meat alternatives, like seitan and jackfruit, which are made from simple, easily-recognizable ingredients. As a vegan-owned business, it is Upton's Breakroom's goal to provide delicious, cruelty-free food that anyone can enjoy. This is Upton's fifth year partnering with One Tail at a Time for Dog Restaurant Week! Thank you to Upton's Breakroom for being the first partner of Dog Restaurant Week 2018, and a gold partner at that! Our Oak Park location on Harrison St in the heart of the Oak Park Arts District contains a vegan cafe (open all day) along with a well-stocked retail space and a yoga room. Its menu draws inspiration from natural and ayurvedic philosophies. In addition to being entirely vegan and nut-free, many of the menu items are gluten free and made without onions or garlic. Rogers Park Pop Up 6920 N Glenwood Ave. 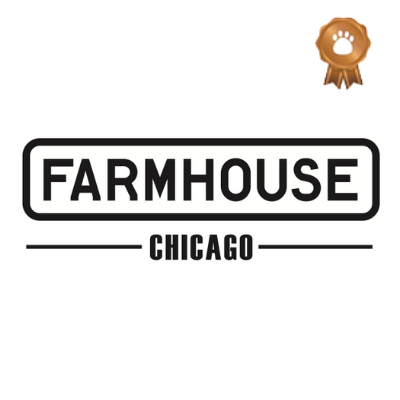 Menus: Bakery | Veggie & Vegan Options | Dog-friendly patio! Opened in the Chicago northside neighborhood of Rogers Park in 2015, Smack Dab is proud to offer the community real food and amazing service from the heart. Smack Dab makes their products in house using organic, non-GMO flours and sugars, plus locally sourced ingredients whenever possible. They aim to bring you satisfying, comforting food in a casual and welcoming atmosphere. Menu | Veggie & Vegan Options | Dog-friendly patio! Wyler Road is a specialty sandwich shop and bar offering a unique take on the neighborhood sandwich shop, focused on house-made, locally sourced ingredients, served in a modern but casual environment. The bar boasts twenty taps featuring specialty curated cocktails and an array of the best regional beers available. Be sure to try one of their “Boozy Floats” with house made ice cream! 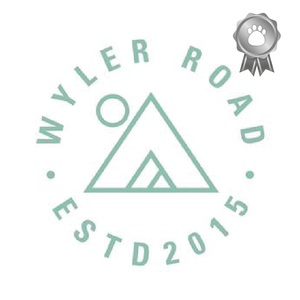 This is Wyler Road's fourth Dog Restaurant Week and its third birthday! Menu | Dog-friendly patio and menu! Located at the corner of State & Kinzie, the 10,000 square foot restaurant and beer hall sits in the heart of River North. 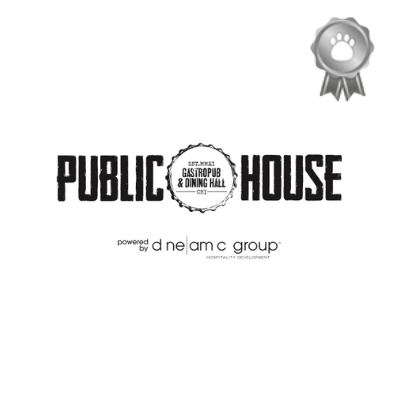 Public House offers American fare with a smokehouse twist in addition to mouth-watering libations and over 100+ beers. On the weekends, Public House transforms into a lively nightlife hotspot where locals and tourists alike unite to enjoy a live DJ, three full-service bars in addition to signature table tap booths, where guests can pour their own beer and shots. The 10,000 square foot space’s décor reflects a hybrid of a rustic Italian market, fine dining restaurants, and a modern, industrial tavern, bridging old world comfort and hospitality with a contemporary menu and design. The bustling 200-person dining room and spacious bar landscape blends perfectly with Chicago’s energetic River North dining & nightlife scene. The notable wine collection and extensive hand-crafted cocktails compliment the from-scratch menu, created by Top Chef and DineAmic Group Partner Fabio Viviani. Named “one of the most talented Chefs in the world” by Forbes, one should anticipate continuous smells of truffle, homemade Italian cuisine, and a dining experience you will never forget. Bar Siena, the two-story, 8,000-square-foot restaurant is located in the heart of ‘Restaurant Row’ in Chicago’s West Loop neighborhood. Overseen by DineAmic Group partners and Top Chef Fabio Viviani, the menu is inspired by expansive Italian street food such as antipasti, pizza and calzones. Similar to sister venue, River North’s Siena Tavern, all dishes are made in-house, from-scratch; however, at Bar Siena they are served cicchetti-style –brought to the table to enjoy as they are prepared and intended to be shared. Located in the heart of River North at the prominent corner of Clark & Kinzie St. and in the same building as DineAmic Group’s Italian concept Siena Tavern, comes Barrio. 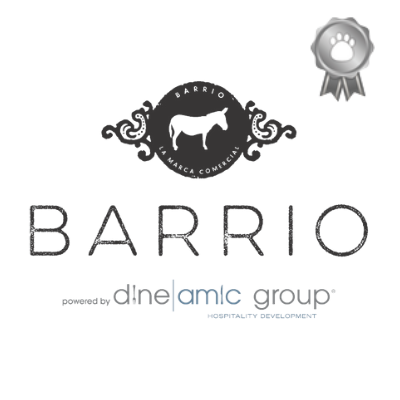 Barrio is a creative take on traditional Mexican fare with pan-Latin and American influences. The 6,000-square-foot restaurant seats 200 people and offers a variety of dining options including bar seating and private dining. The kitchen is helmed by “Top Chef” alum, Chef Katsuji Tanabe, who has created a plethora of options for just about every patron. The menu incorporates a shared-plate format offering locally sourced, sustainable ingredients with an emphasis on organic, as well as paleo and gluten-free options. Headed by Tony Recillas, the force behind Jane's restaurant in Bucktown, FORASTERO aims to introduce new flavors that you may not have had before via the very accessible medium of a taco. Of course, they offer other items like delicious sandwiches, exotic wings, and bowls. But, let's face it, a bite into a taco knowing you've got two more to try is a wonderful feeling! Handlebar serves made-from-scratch vegetarian and vegan comfort food for breakfast, lunch and dinner seven days a week. Handlebar is a small, casual neighborhood restaurant with a full-service bar and beer garden. Handlebar recycle, brew fair-trade coffee, serve all organic eggs, and source produce from local farms. Handlebar has been serving up food, booze and good times in Wicker Park since 2003. This is Handlebar's second Dog Restaurant Week! Menus: Brunch, Food, Beer, Drinks | Veggie Options | Dog-friendly patio! 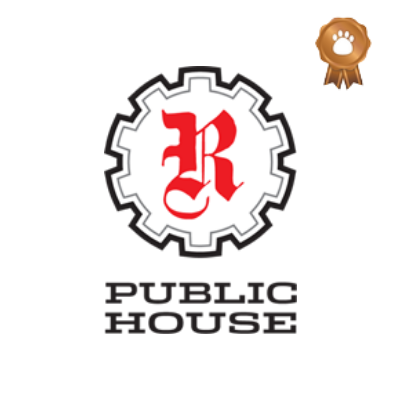 R Public House is a community-driven pub that welcomes everyone. We will serve as an anchor business in the neighborhood, providing an atmosphere for entertainment and light dining, philanthropy, and goodwill for the diverse population of Rogers Park. Menus: Food, Drinks | Veggie & Vegan Options | Dog-friendly patio! The Moonlighter (Scofflaw Group) is a relaxed neighborhood bar where guests are invited to “come as they are” in the heart of Logan Square. Scofflaw’s original cocktail, beer and food trio Danny Shapiro, Kris Nagy, and Executive Chef Mickey Neely team up again on Scofflaw Group’s most casual concept to-date. Offering classic, high-quality all-American bar food, craft ciders, draft beers, rosé on tap, and cocktails by the glass and pitcher, the 2000-square foot indoor/outdoor space features a cozy and inviting interior and an expansive front yard patio with built in fire places.